Ever since the original Titanfall released for the Xbox One in 2014, Respawn Entertainment has been channeling their efforts into creating genre-defining, adrenaline-pumping concepts. And they’ve been doing a bang-up job of it too. 2016’s Titanfall 2 fared even better than its predecessor, receiving critical acclaim for splendid design and execution. More recently though, Respawn has landed themselves in the spotlight for their take on the battle royale. 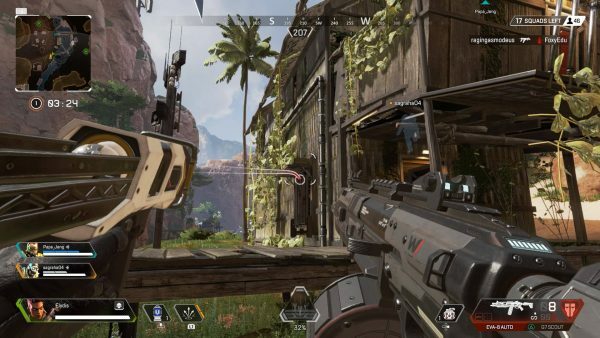 Building on the strong core that is the Titanfall universe, Apex Legends took the market by storm in February 2019, outperforming its closest competitor Fortnite within a matter of weeks. 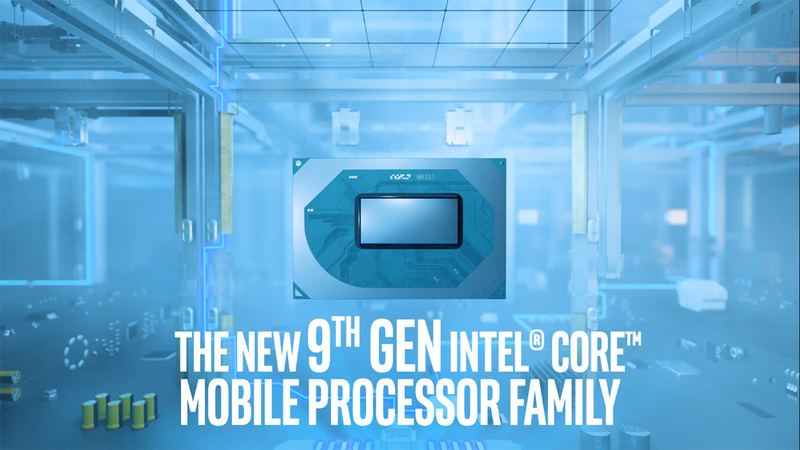 But what makes it stand out? Is it really as amazing as they say? Or is it simply piggybacking on the popularity of the battle royale? To find out, we dispatched our writers Kenneth and Wei Song to investigate the Apex Games on PC and PS4 respectively. Here’s their take on Apex Legends and how it stacks up against the competition. Who’s who in the Apex Games? We thought it fitting to kick off with a little primer. After all, getting a good grasp of what you and your opponents can do is key to success in the arena. 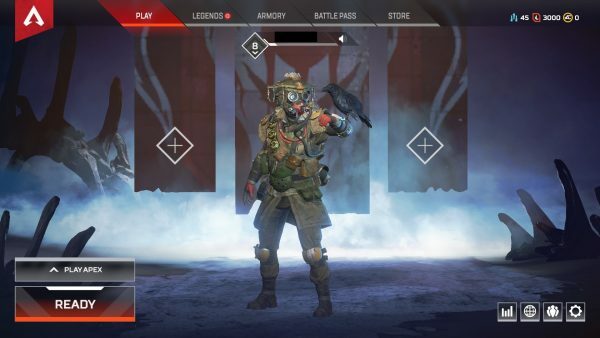 Unlike most battle royales where players use generic characters, Apex Legends goes for a multi-faceted approach, introducing different characters with a plethora of abilities. Squads are usually made up of three players, who will take turns to lock in their preferred Legend. At the time of writing, there are nine playable Legends, each with their own Passive, Tactical and Ultimate abilities. More are expected to arrive soon but here’s a rough overview of the current roster. If you’re looking for Octane, he’s probably leaping off a waterfall or something. Bloodhound: Bloodhound is all about “the hunter versus the hunted”, and you’re usually the apex predator (pun intended). Track enemies down using their footprints, scout forward areas for your team and even channel the power of the wild to stay on top of the food chain. Bangalore: In the Apex Games, you’ve got to have the skills to pay the bills. Quite literally, in fact. Bangalore is a professional soldier looking to snag the cash prize and buy her way home. Her abilities include throwing down smoke grenades to cover or advance engagements, calling down carpet bombs, and…running faster when she’s been shot? How does that even make sense? Pathfinder: If there’s one thing we know, it’s not to underestimate this jolly robot; Pathfinder’s zipline-based abilities can open up avenues for him or his allies to attack, as well as provide a quick getaway if needed. On top of that, his Passive is essentially a cheat sheet for his squad, letting them prepare in advance for the shrinking arena. Lifeline: Combat medic Lifeline comes from a family of war profiteers, which she shuns in favour of the humanitarian Frontier Corps. She comes equipped with fast revives, care packages and medical drones for her squad, keeping them in tip-top condition. After all, you can’t fight if you’re dead. Wraith: Wraith is an amnesic asylum escapee with a creepy sixth sense: she gets a tip-off when someone focuses their crosshairs on her. Combat-wise, she’s a swift, agile fighter who channels void energy to create portals, ambush enemies or get out of tight spots. So, when the squad needs to take someone out quickly, it’s time for Wraith to get her hands dirty. Gibraltar: This gentle giant with a heart of gold brings a ton of defensive utility to the Apex Games. Gibraltar can deploy shields virtually anywhere: when he’s shooting, looting or even retreating. But most of the time, enemies refuse to come quietly. In those cases, he can call down a powerful artillery strike to decimate them. Mirage: The quirky yet charismatic Mirage deploys doppelgangers to mislead enemies, leaving them bedazzled and confused. Even when he’s downed, the show must go on. Mirage’s handy Passive lets him cloak for several seconds while enemies chase after a holographic decoy. You might see him now, but is it really him? Go figure. Caustic: Poison is the name of Caustic’s game. 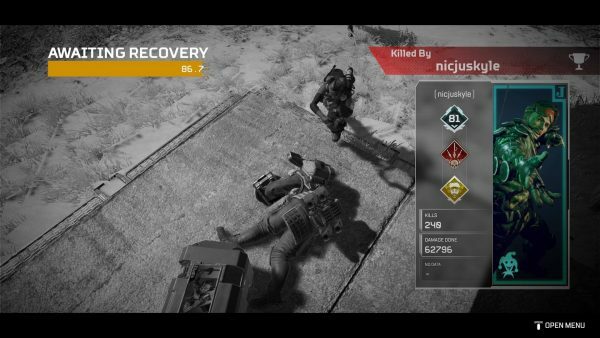 Formerly a genius scientist who took too much of a liking to toxins, Caustic now tests his lethal Nox Gas Traps and Grenades on the other participants. Of course, an experiment is pointless if you can’t observe it, so Caustic’s Passive lets him watch his victims stumble around in the deadly mist. Octane: As the newest Legend to join the fray, the young daredevil known as Octane trades health for near-unparalleled speed and agility. Embodying a fight-or-flight play style, he sports passive health regeneration when he’s not being shot at, and can pull out a deployable launch pad to get the jump on unsuspecting enemies. The flashier the kill, the better. Like most battle royales nowadays, players enter matches by free-falling from the sky, and deciding where to land can make or break games. However, there’s still time for some idle chatter and stray thoughts as the squad falls. Kenneth: Having played the Titanfall games, I came in expecting a certain amount of fluidity in character movement. And I was happy to see that in spades. Generally speaking, moving around in Apex Legends doesn’t feel as “blocky” as other battle royales. Take the wall-jump mechanic for example. Characters actually know how to reach for a ledge instead of just face-planting the wall. Sliding down a steep slope is pretty satisfying too, and not only does it make for an effective combat maneuver, it also makes getting from point A to point B much faster. In terms of design, it’s easy to see where the Titanfall foundations come into play. There’s that obvious yet not excessive sci-fi touch to the structures and characters, while objects seem sufficiently realistic. I’d say that’s a job well done on Respawn’s part. Those are not easy lines to toe even without Titans to worry about. On a side note, Bloodhound is currently my favourite Legend. He might not have much in terms of direct offense, but as the saying goes “Knowledge is power”. There’s nothing quite like putting a few shotgun shells into an enemy who thinks he’s ambushing you. Psych! Wei Song: Overwatch meets PUBG Squad mode. That was the main takeaway I had when giving Apex Legends a whirl. The introduction of unique abilities is indeed a game changer within the battle royale genre. This squad-based deathmatch brings with it a brand new strategic layer in the form of optimal team compositions. One example would be Bangalore and Bloodhound. Pop a smoke grenade and blind the opposing team while Bloodhound activates his ultimate. With the ultimate on, Bloodhound can see through the thick smoke and go ham on the blinded enemies. Personally, I’m someone who prefers coming up with strategies and combos, so Apex Legends definitely satisfies this itch of mine. 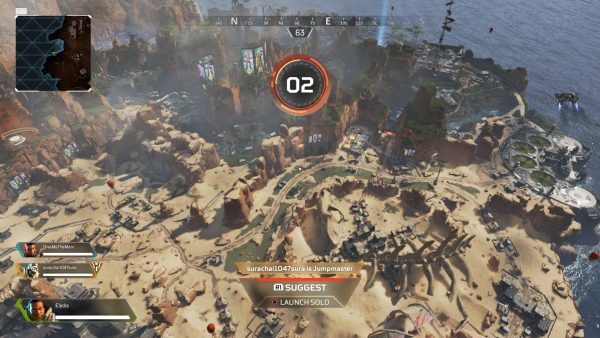 Kenneth: To be honest, there isn’t much to comment on for PC in terms of controls.The key mappings for Apex Legends are the same as most shooter games actually. WASD handles movement, while Space, Left Shift, G and E are mapped to jump, sprint, item use and interactions (like opening doors) respectively. Ultimates are activated via Q, and camera movement is controlled the mouse. That said, Mouse 3 is the one to remember, since it handles pings and acknowledgements, which come in handy quite often. Apart from those the other controls are somewhat self-explanatory and a quick look at the options menu or tutorial should suffice. 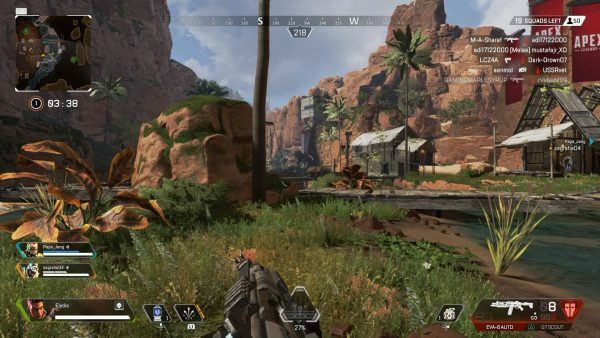 It’s also worth knowing that Apex Legends doesn’t come with an aim assist function, regardless of what platform you’re on. You’ll need the skills to pay the bills. Who needs to be precise with a shotgun anyway? To add on, the game doesn’t feature many hitscan projectiles either, so players will mostly need to lead their shots. Speaking from experience, Battlefield players won’t receive as much of a culture shock, given they’ve been doing that since day one, but Call of Duty players (like myself) might need some time to acclimatise. Urgh. Wei Song: Since I’m primarily playing on the PS4, I’m quite used to console-based shooters. However, controllers just can’t compete with the classic Keyboard and Mouse. That said, the controls are smooth with a mostly ergonomic setup. L2 for aim and R2 for fire as one would expect. L1 is where your abilities are while Ultimates are triggered with L1 + R1. Holding R1 on the other hand activates or acknowledges pings, which like Kenneth mentioned is quite useful and comprehensive. Just by looking at certain objects, prompts will show up allowing you to notify your team about ammo and weapons. This helps immensely in the communication department when you are not on voice chat or are unable to type in the case of consoles. The rest of the controls are pretty standard: the left thumbstick controls movement and the right controls the camera. Is there a ping for “I’m screwed”? My only gripe with the controls would be how miscellaneous items like grenades are slotted. To throw a grenade, you need to equip it with the Right directional button and then fire/throw it. It takes some getting used to, especially when you are in a firefight. Having to move and shoot while trying to thumb through to the right grenade isn’t easy. Kenneth: Thanks for reminding me, actually. That last part is something I didn’t quite like as well. 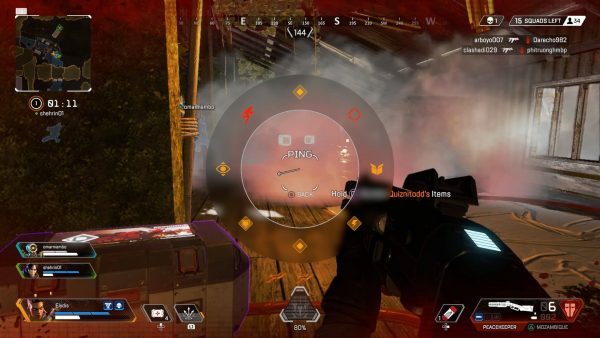 Consumables in Apex Legends need to be equipped in hand before they can be used. The issue doesn’t end there, however. After equipping it, pressing G once consumes the item, while holding it down brings up the selection overlay. Perhaps I’m just not used to it yet, but there’s nothing more annoying than tossing a grenade by mistake when you’re just looking to bring up the overlay. Wei Song: Aside from that, the fights themselves vary from massacres that are over in a second to extended back and forths. This is something we already see in battle royales but this is especially true with Apex Legends. The abilities of each character can turn the tide or reduce pressure from teammates. Wraith’s Into The Void ability allows her to slip between dimensions making her the perfect flanker while Bangalore, as mentioned, can use her smoke grenades to hide her allies or blind her foes. Checking the kill feed – How does it fare compared to other battle royales? Kenneth: Personally, I find Apex Legends to be more tactical than Fortnite. No offense, but being able to build walls and structures (i.e. cover) on-demand mid-fight kind of takes away a ton of strategic considerations for me. There’s none of that here, and I’m pretty happy there isn’t a “get out of jail free” card to exploit. In a sense, I think it helps retain the intensity and adrenaline rushes that Respawn’s multiplayer games are known for, but it also means Apex Legends is a lot less forgiving by comparison. That may or may not be a good thing, especially for beginners, but from my perspective it does bring a certain realism to the experience, since a single slip-up can cost you dearly. With that said, Apex Legends feels more “complete” than most battle royales I’ve played in general. Of course, that’s just what I think. Each of them does have their strong points, but I simply find Apex Legends a lot easier to appreciate. Wei Song: I definitely agree it is more tactical, not just in a match but out of it as well. Team composition will definitely be the deciding factor if we have teams of the same skill level going head to head. However, I can’t say I agree with the fact Apex Legends is more fast paced than Fortnite mid-fight. In most cases, Fortnite’s build mechanics are used to gain high ground advantage for maximum long range murder. As a defensive tool in close to mid-range fights, the build mechanic is less useful. 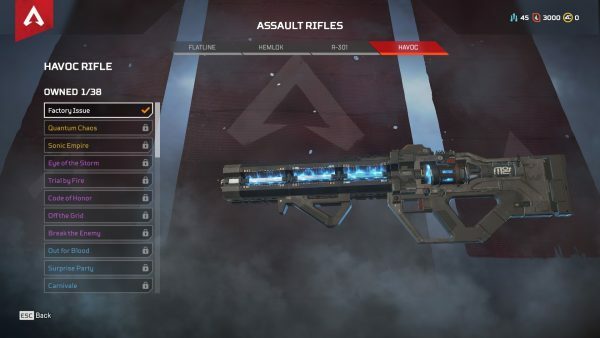 On the other hand, Apex Legends has a number of abilities that give you a way out to heal and recover. Teleportation, jump pads, smoke and ziplines all gives you a defensive measure to quickly flee from a bad engagement. This makes the fight more drawn out, especially in the later half of the match. Kenneth: Fair enough. On a separate note, there is another aspect I’d like to discuss. You see, the thing about introducing unique characters in a team or squad-based game is that the problem of “one-tricks” inherently surfaces as well. Some players will instantly lock in a single character, and possibly make a big fuss if they don’t get it. Take a look at games like Overwatch and League of Legends for example. I’m pretty sure everyone has seen cases where stubborn one-trick players have cost their team the entire game. That’s mainly why I think Respawn is taking a rather risky approach by introducing non-generic characters. Sure, it does help to flesh out the world that they’re building but it’s a double edged-sword. I mean, who cares about a character’s lore when you’re in the middle of a firefight? All that matters is whether your teammates are cooperative and are willing to cover your six. If they aren’t, you’re probably going to have a tough time even with decent gear. Point being that Respawn might end up with much bigger problems than they bargained for by going down this route. Most times, you can’t go wrong with one of these. Wei Song: Well, with any squad based battle royale, or to be more accurate, any multiplayer game, there will always be griefers. I’ve had players leaving because they couldn’t get the character they wanted and we had to start the match with one less player. I’ll just quit and find a new match. With the popularity of the game, finding a new match shouldn’t take too long. The risk with unique characters would come more from the characters themselves. Unique characters means balance is something that must be watched closely and new characters must be introduced. 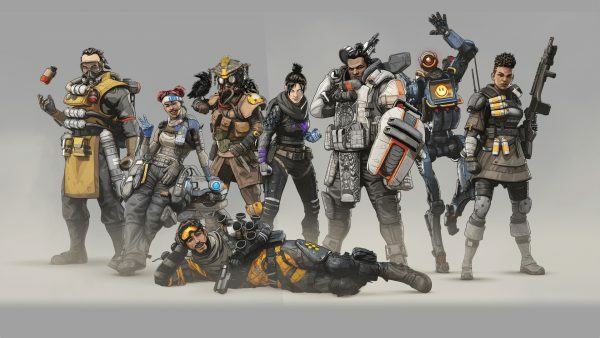 Even with that, I would say that Apex Legend stands out from the rest because of its unique characters and abilities. No other battle royale at the moment even comes close to changing up the formula like what Apex Legends has done. The squad only mode of Apex Legend might turn off players who only want to play it solo, but as a design choice, it is brilliant. Eliminating solo mode eliminates a certain level of balancing required and focuses the game balance on team compositions and how each character interacts with another. Kenneth: I guess that’s true. To their credit, Respawn has already done some part of their homework. The randomized selection sequence helps mitigate game-throwing to some extent, since everyone can see which characters their squadmates prefer and plan accordingly. However, it isn’t a cure-all. At the end of the day, a player’s willingness to compromise for the team’s sake is out of their squadmates’ control, or Respawn’s for that matter. Come on people, I don’t have all day…hey, where are you going? That reminds me, one of Apex Legends‘ defining mechanics is being able to revive dead teammates. By collecting fallen squadmates’ tags and bringing them to a respawn station, the whole squad can have another go. But like most things, it’s much easier said than done. Most of these stations are out in open areas, which from a tactical perspective is far from ideal. Also, since respawned characters will not have any equipment or weapons on them, the high risk may not necessarily equate to high rewards. However, I feel this is still a good system to have, since there’s nothing duller than playing only several minutes each game. The possibility of a respawn might still make it worth for dead players to stick around, rather than endlessly repeating the cycle of “match up, die, leave the game and match up again”. In any case, the mechanic seems to have improved the battle royale experience, so much so that Fortnite is cashing in on it too. To sum up, it seems fair to say Respawn Entertainment deserves a solid pat on the back. 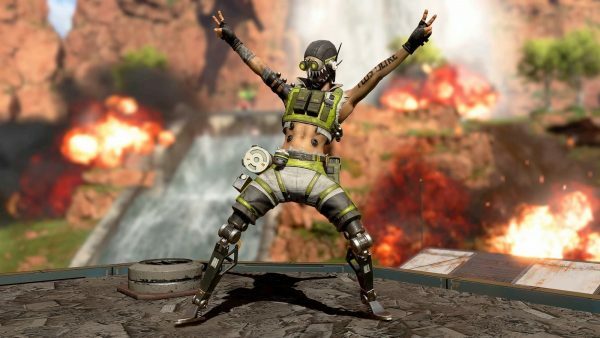 Apex Legends plays and feels like a battle royale should, but with a unique spin that sets it apart. The combination of tactical and fluid mechanics as well as a diverse, multi-faceted roster have only served to make the game as wholesome as it is today. Add in a ping system that is comprehensive enough to make the other battle royales jealous and bam, you have a working blueprint for success. Granted, it does have some gaps which might need to be filled in future, especially in the character balancing department, but no game is flawless to begin with. 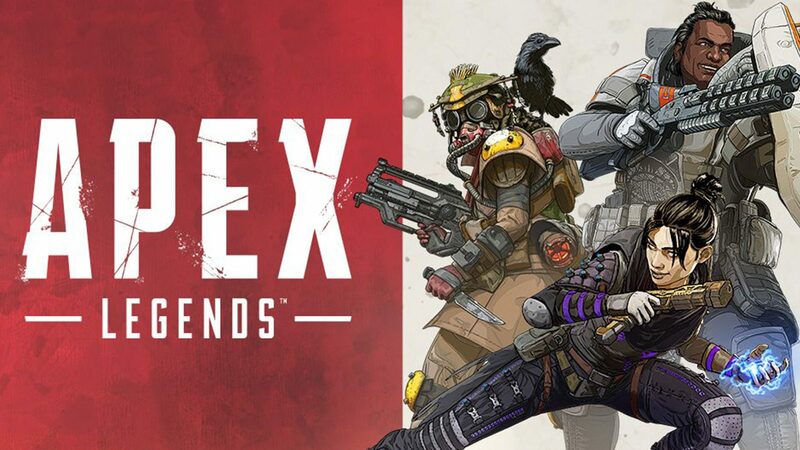 On that note, by keeping a close watch and introducing changes as necessary, Apex Legends should easily retain its status as one of the best battle royale games on the market. Previous post April’s Xbox Game Pass brings us Monster Hunter: World and More!